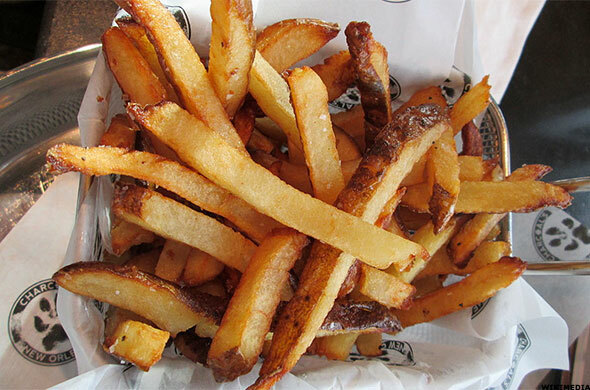 Here's a list of the 15 worst foods to eat if you have high cholesterol. Most of us love to eat. It can be one of our favorite pastimes, munching on an assortment of delicious, delectable delights. When we're younger we usually never think about the harm certain foods can cause us. Try telling a teenage boy that comes home from school starving, because they always do, that eating an entire McDona (MCD - Get Report) Big Mac then topping it off with an ice cream sundae isn't the healthiest of choices. As we get older we have to start monitoring the things we eat, as some foods can aggravate existing health conditions or bring on new ones. High cholesterol and heart disease are serious concerns for many people, and as much as we'd love to continue our teenage habits of eating anything and everything in sight, when diagnosed with these issues, monitoring what we eat becomes a top priority. Cholesterol is "a waxy, fat-like substance that's found in all cells of the body," the National Heart Long and Blood Institute says. The body needs cholesterol to produce hormones, Vitamin D, and substances that help you digest food. Your body will make enough of the cholesterol it needs to perform these functions, but some of the foods you eat can add to your cholesterol levels, and too much can lead to health issues, the National Heart Long and Blood Institute added. The American Heart Association recommends that adults 20 years of age and older have their cholesterol checked with a lipoprotein blood test every four to six years. 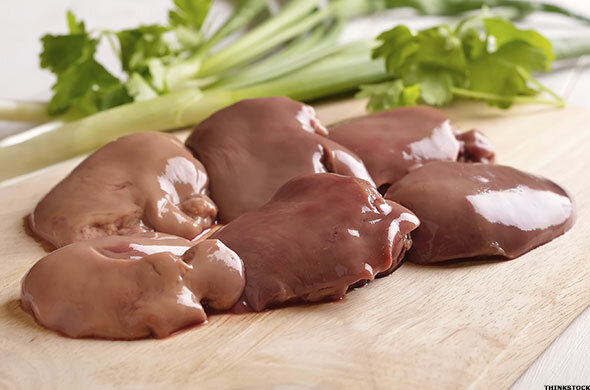 As a food that is high in iron, liver can be a healthy dish for some. For others, however, liver can add to your levels of high cholesterol as this organ is the body's primary source of cholesterol, and is where the waxy substance is made and stored, the American Heart Association website says. The highest concentrated levels of cholesterol in animals are found in organ meat, everydayhealth.com writes. Muffins can be a healthy breakfast choice, but that can depend on how the muffin is made. For example, eating a low-fat bran muffin made with whole wheat flour can be beneficial to your health, everydayhealth.com says. 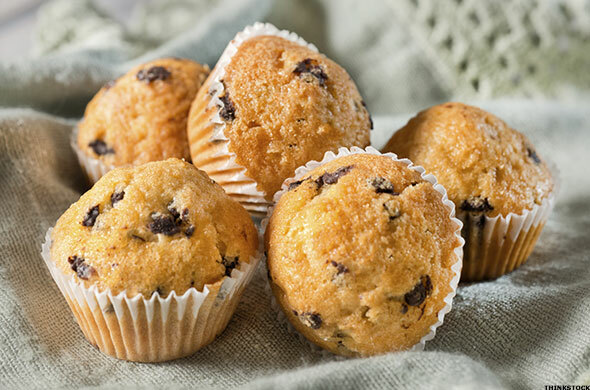 But muffins that we bake at home with whole milk and eggs and fill with extra treats, like chocolate chips, can have up to 8 grams of fat in one serving, everydayhealth.com added. 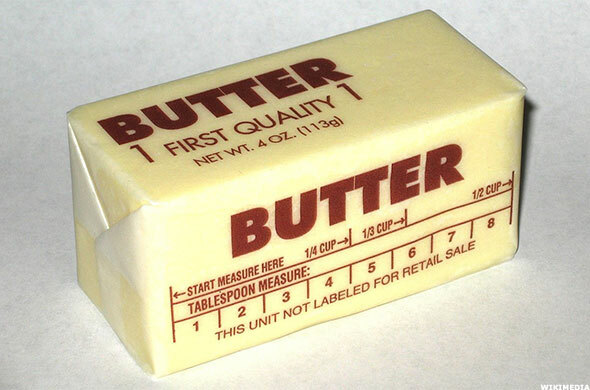 Once thought to be a healthy alternative to butter, margarine can be just as loaded with cholesterol. 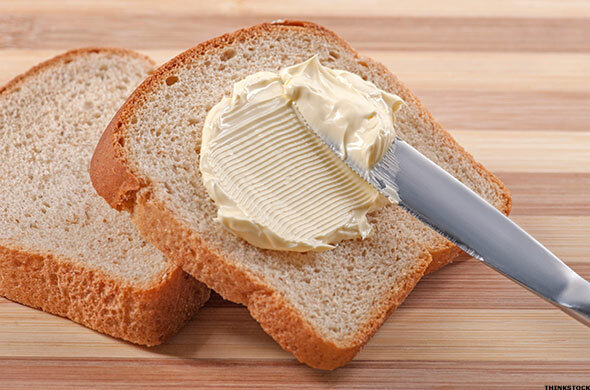 "Since margarine was made from unsaturated vegetable oils, most people assumed it would be better for long-term health than butter, which was known to contain a lot of cholesterol and saturated fat. That assumption turned out to be wrong," reads a Harvard School of Public Health study on fats and cholesterol. "Research showed that some forms of margarine - specifically the hard stick margarines - were worse for the heart than butter. This was because they contained large amounts of trans fats from partially hydrogenated oils." 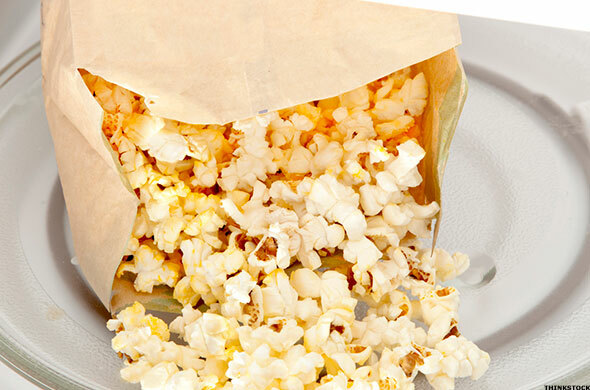 Popcorn is a snack that can be either good and bad for your health depending on how you prepare it. Microwave popcorn loaded with butter, oil, and salt is not a healthy choice. These extras that are a normal part of the popcorn experience can add to your cholesterol levels. However, opting for an unsalted, butter free bowl of popcorn is a good way to lower your cholesterol. If you need a little something extra added to your popcorn, everydayhealth.com suggests spraying some olive oil and sprinkling parmesan cheese over your snack. These snacks can be a delightful late night treat. 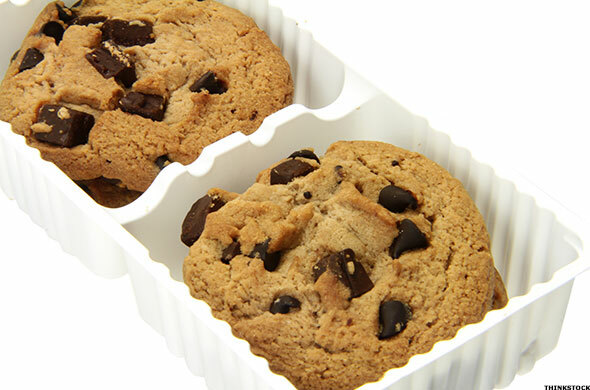 A cupcake, some cookies, and a slice of cake can be hard to resist, but those with high cholesterol need to stay away from these commercial baked goods as they can be filled with trans fats a result of the use of hydrogenated vegetable oils, everydayhealth.com said. 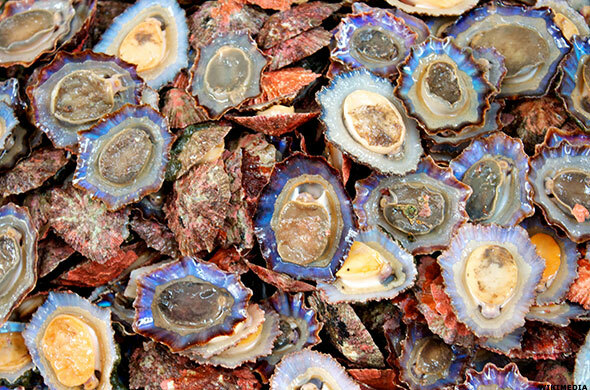 While there are many health benefits to eating shellfish, those with heart disease or high cholesterol should avoid these foods. Three ounces of lobster contains 61 mg of cholesterol, and that doesn't include dipping it in melted butter, EverydayHealth.com writes. 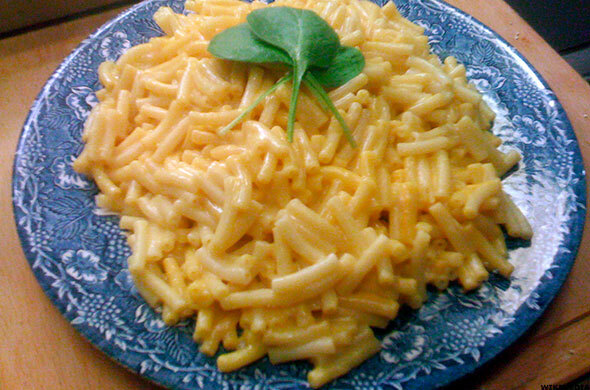 Whether you're a kid or an adult, mac n' cheese is one of America's favorite comfort foods. However much we may love this gooey collection of cheeses and pasta, often topped with breadcrumbs and a little bacon, the ingredients that make up this dish, such as whole milk, butter, and cheese, can be filled with saturated fats and cholesterol, EverydayHealth.com says. Another all American favorite, summertime just wouldn't be the same without a burger. The beef patty is so versatile that it can be loaded up with everything and anything, including onions, cheese, and bacon. When you're at work and in need of a quick lunch, running to a fast food restaurant is an easy solution. But you may want to think twice before heading to McDonald's, as a Big Mac has 85 mg of cholesterol and a Classic Double with everything from Wendy's is loaded with 175 mg of cholesterol, EverydayHealth.com says. It's golden, crunchy, deep fried, and an extremely popular dish. While chicken is often a go to menu item for people looking to chow down, you might want to consider opting for a more heart healthly chicken dish. 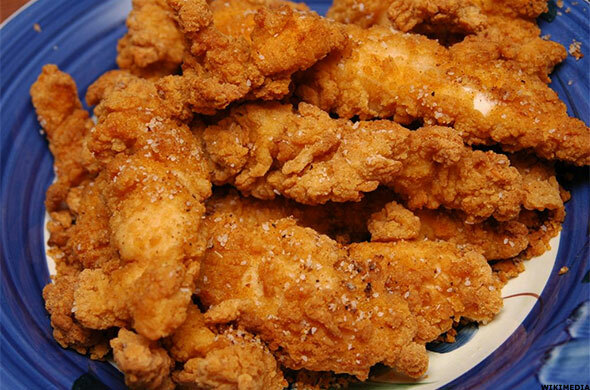 Fried chicken can be packed with more cholesterol than a hamburger, EverydayHealth.com says. Another American favorite, French Fries are considered a high cholesterol food due to the presence of hydrogenated vegetable oils. "Partially hydrogenating vegetable oils makes [food] more stable and less likely to spoil. It also converts the oil into a solid, which makes transportation easier. Partially hydrogenated oils can also withstand repeated heating without breaking down, making them ideal for frying fast foods," says the Harvard School of Public Health study on fats and cholesterol. Foods made with partially hydrogenated oils can have large amounts of Trans fats, the study said. It tastes great on a bagel or baked into a cake, but cream cheese is another food high in cholesterol. 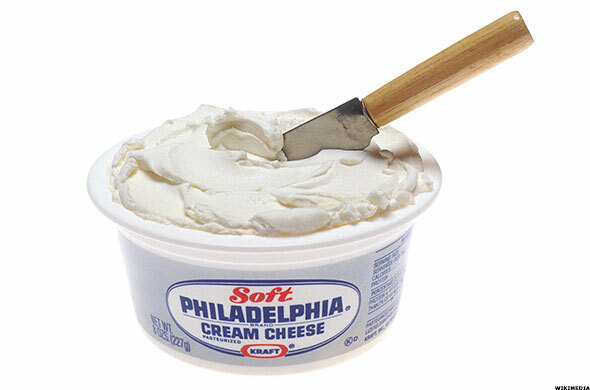 One ounce of cream cheese can contain 27 mg of cholesterol, says HealthCentral.com. 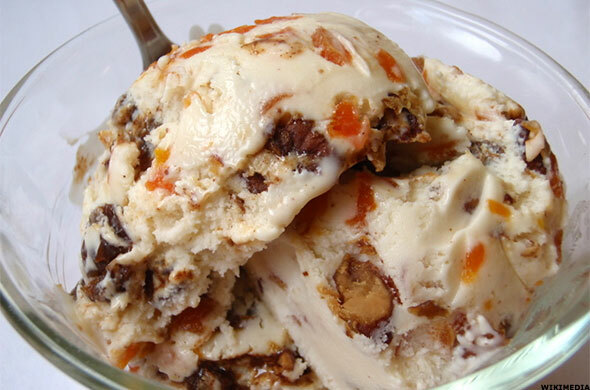 This one might sting a little, but ice cream isn't the best snack choice for those with high cholesterol. One scoop of every kid's favorite frozen treat has more fat than a hamburger and more cholesterol than 10 glazed doughnuts, EverydayHealth.com says. A popular breakfast food, chicken eggs have a high cholesterol content. 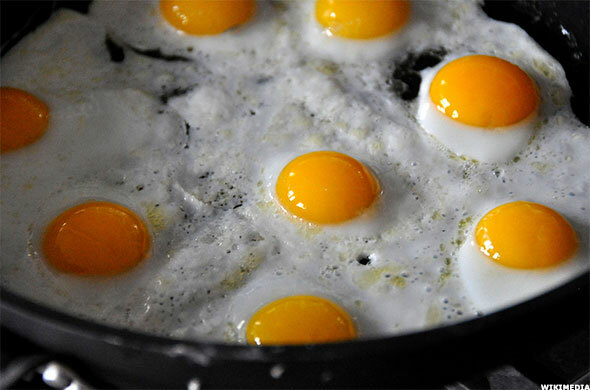 While people with high cholesterol and heart disease were once told they should avoid eggs, the Mayoclinic.org says that eating four egg yolks or less on a weekly basis hasn't been found to increase a person's risk for heart disease. Moderation is the key with this food, enjoy a scrambled egg for breakfast and watch your cholesterol intake for the rest of the day. It seems that almost everything we consume is made better with butter: popcorn, toast, mashed potatoes, pancakes, the list can go on and on. But if you're dealing with high cholesterol and heart disease you might want to swap out that cholesterol filled pad of butter for some vegetable oil instead. 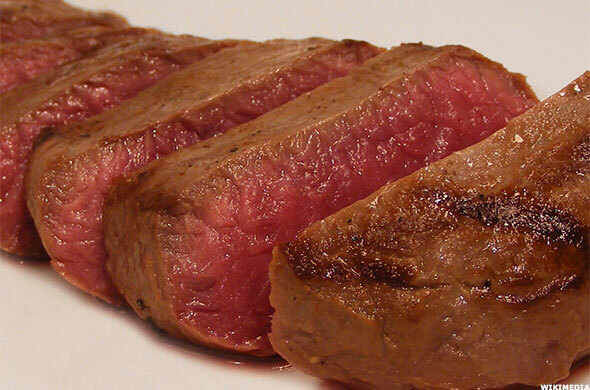 Red meats like beef, lamb, and pork tend to contain more cholesterol and saturated fat than other meats. This can contribute to an increase in your own cholesterol level and make already existing heart disease worse, according to the American Heart Association website. Healthy alternatives to red meat include vegetable proteins, like beans, chicken (not fried), and fish, such as salmon, which is high in heart healthy omega-3 fatty acids, the AHA says.